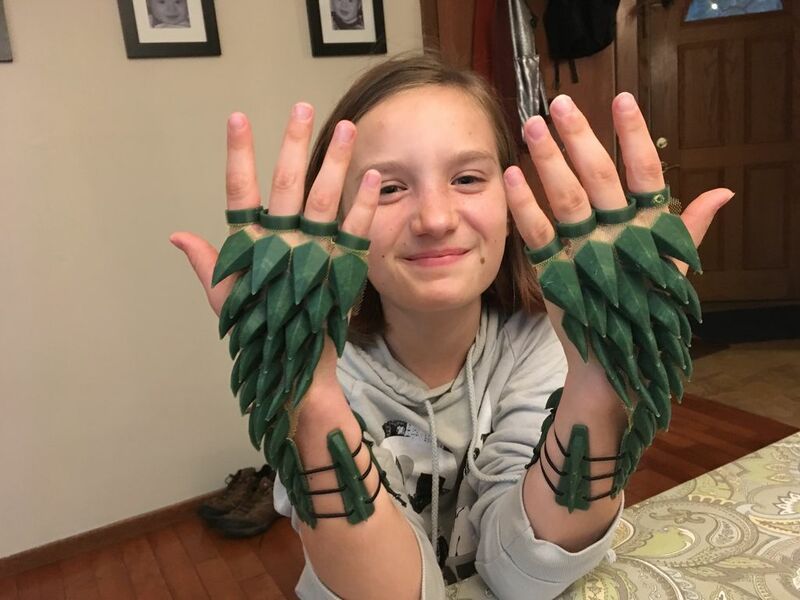 Dragon Hands #WearableWednesday #cosplay « Adafruit Industries – Makers, hackers, artists, designers and engineers! 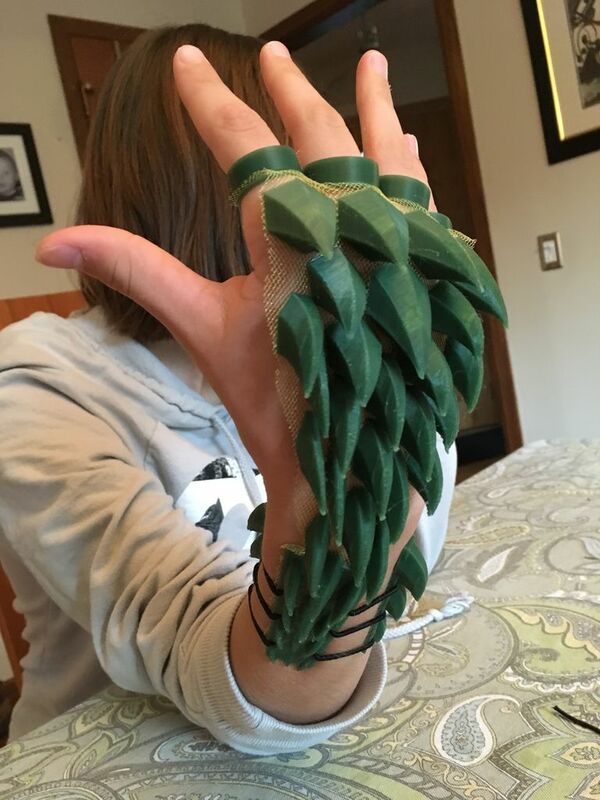 My daughter is already planning for Halloween this year and mentioned going as a dragon. As a 3D Printing dad, I couldn’t just stand by. Credit where credit is due, I did not invent this technique. I’m just using it. The first time I saw this was at MRRF 2018 (Midwest Rep Rap Festival) where it was applied (and possibly invented) by David Shorey at Shorey Designs. The principal is fairly simple: You print one or 2 layer as usual, you then pause the print, apply some sort of mesh and continue printing. The next layers will bond with the layers below the mesh creating a strong integrated print and fabric “thingy”. For this instructable I use Slic3r for creating the g-code. Programs like Simplify 3D have more sophisticated ways of manipulating g-code but what I show here should apply to any g-code (regardless of slicer). For this instructable, It is assume that you know how to use slicers and how to 3D print.